Street vendors sell grilled corn everywhere in Greece during the summer. Crazy salty and steamed inside their husks, you wouldn’t believe how good they taste. 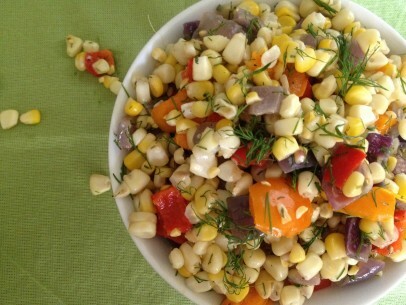 This recipe uses grilled corn in a quick, easy, amazing summer salad – just over half an hour and you can be tucking into a bowl!